contributions possible through the Alamo Run Fest. The Alamo Run Fest has now helped raise close to $100,000 dollars for its various beneficiaries since it began, with close to $30,000 of that coming from the 2017 event. Not bad for a relatively 'young' event. But our vision, along with that of our sponsors, is to be able to do way more in the years to come and ultimately reach the 6 figures and higher range as the event continues to grow. As in past years, the Alamo Run Fest will be partnering with several beneficiaries in an effort to impact our community in a positive way. Each of those selected has a direct impact on San Antonio. The 2019 beneficiaries are listed below along with information (and more info to come) and links to their own websites (click on their logo). Additional beneficiaries may be added. Military Warriors Support Foundation is a 501(c)(3) non-profit charity, founded by LTG. Leroy Sisco, (Ret), in 2007. Their mission is to provide support and programs that facilitate a smooth and successful transition for our Nation’s combat wounded heroes and Gold Star families. This is a very fragile time for these heroes, and their families, and it can be difficult for many. Their programs focus on housing and home ownership, employment, as well as recreational activities and transportation assistance. Through Homes4WoundedHeroes, their homes donation program, awards 100% mortgage-free homes to combat wounded veterans and Gold Star spouses of heroes who have fallen in combat. In addition to the home, each family receives three years of family and financial mentoring so that they may learn the skills necessary to become happy and successful homeowners. This program not only changes these families, but it also changes the lives of the generations that follow. For family and recreational activities, they offer their Skills4Life program. This program offers golf outings, hunting and fishing trips for 100's of heroes each year. MWSF is based in San Antonio, Texas and is dedicated to honoring our heroes by assisting those whom have given so much. 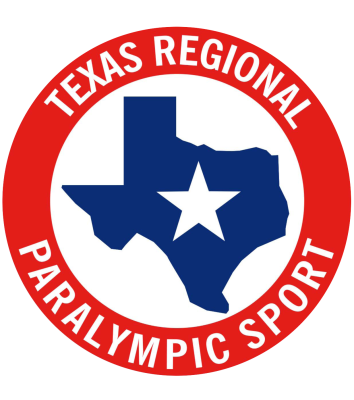 Texas Regional Paralympic Spor t (TRPS) is dedicated to becoming the world leader in the Paralympic sports movement and promoting excellence in the lives of people with physical/visual disabilities. Today, there are more than 21 million Americans living with a physical disability, including tens of thousands of military personnel and veterans that have sustained serious injuries. TRPS is working in the Texas region to help grow opportunities for these individuals to participate in ongoing sports and recreation programs at the community level. Programs in the Texas region are growing and include both recreational and competitive sports activities. TRPS works closely with it's regional partner, the South Texas Regional Adaptive & Paralympic Sports group (STRAPS) within the San Antonio and South Central Texas area specifically. Many of the athletes in both TRPS and STRAPS participate in events of the Alamo Run Fest. Both of our current beneficiaries have been selected with a significant portion of San Antonio's population in mind (the reason the city is known as 'Military City - U.S.A). With Joint Base San Antonio as one of largest joint military bases in the country (comprised of Fort Sam Houston, Lackland Air Force Base and Randolph Air Force Base) there are over 65,000 active duty military and 45,000 family members who call San Antonio home. It is our hope that the Alamo Run Fest will be able to help positively impact some of the families who have given so much in support of our country. We are a big believer in an event being totally transparent about their beneficiary donations if an event claims to be donating money to a cause or causes. As a participant in an event, if part of your purpose in running it is knowing that you are helping to support the designated charities, you should be able to know without question and specifically, how your participation helps benefit the designated event beneficiaries. An amount that is at a minimum, equal to 6% of all the event entry fees, is designated as the 'beneficiary pool'. This makes the amount to be donated extremely easy to determine and not subject to manipulation. This 'pool' amount is then split 50/50 with each of the two Primary Beneficiaries receiving 50% of the 'pool'. Keep in mind that these are 'minimums' and that since we created our donations formula beginning with the 2014 event, the amounts donated as a result of this 'pool' amount have exceeded these minimums each year. In addition, any amounts raised during the registration process - whereby individuals entering the event have the option to make an additional donation to one or more of the designated event beneficiaries - go 100% to the event beneficiary they designate and are separate and not used in the calculation of the 'beneficiary pool', since these additional funds are effectively the individual beneficiary's funds, not ours, once they are added to their entry fees as a donation. The funds that make up the 'beneficiary pool' total are a combination of funds brought together through our relationships with our sponsors (some of whom may target a specific amount toward this 'beneficiary pool' amount) as a result of their association with the event and funds that come directly from entry fees. The event beneficiaries are each also able to conduct their own individual fundraising efforts tied to the event which we support, resulting in additional funds being raised through their association with the Alamo Run Fest.